Got five minutes? Share this with your grown-up. 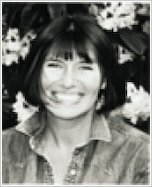 A warm, funny story that celebrates mums. One morning Mrs Large (a plump and jolly elephant) needs some peace and quiet away from the kids. So she runs a lovely bubble bath and takes a tray of tasty breakfast into the bathroom. 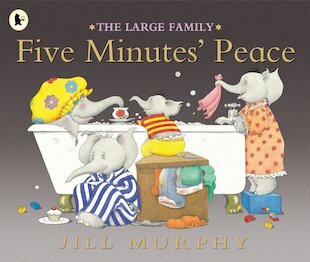 But with lots of cheeky little elephants running riot, her peace is to be very short-lived… Nobody can resist Jill Murphy’s witty text and glowing pictures. Warm your heart and make your mum smile with this jumbo family favourite. It is very calm and peaceful and makes me feel happy! I am sure it will make you calm as well! Jill Murphy deserves a consolation of stars so that is why I have given her 5 stars out of 5 stars! I also enjoyed the worst witch I am so glad you are a an author!! This is about a mum who wants some peace bUt she can’t get it with her children around.